No pictures found for plate number ID67IY in Florida, United States. click here to add a picture. No videos found for plate number ID67IY in Florida, United States. click here to add a video. No owners found for plate number ID67IY in Florida, United States. click here to add an owner. 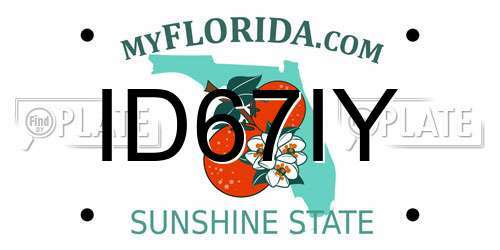 No related websites found for plate number ID67IY in Florida, United States. click here to add a related website. AFFINIA IS WORKING WITH NAPA TO IDENTIFY ANY OWNERS THAT HAVE HAD THIS PART MISTAKENLY INSTALLED ON TO AN ACURA TL VEHICLE, AND WILL REPLACE THE PART FREE OF CHARGE. THE SAFETY RECALL BEGAN ON JULY 20, 2011. OWNERS MAY CONTACT AFFINIA GROUP'S WARRANTY ADMINISTRATOR AT 1-815-759-7757. 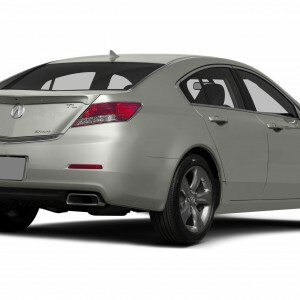 HONDA IS RECALLING 129,600 MY 2004-2005 ACURA TL VEHICLES. IF WATER ENTERS THE WINDSHIELD WIPER MOTOR BREATHER PORT, WHICH IS DESIGNED TO ALLOW THE MOTOR TO VENT WARM AIR DURING NORMAL OPERATION, IT CAN RESULT IN CORROSION INSIDE THE MOTOR HOUSING. THIS COULD CAUSE A FAILURE OF THE ELECTRICAL CIRCUIT BREAKER INSIDE THE MOTOR HOUSING. IF THE CIRCUIT BREAKER FAILS, IT WILL CAUSE THE WINDSHIELD WIPER MOTOR TO BECOME INOPERATIVE, WHICH CAN INCREASE THE LIKELIHOOD OF A CRASH IN CERTAIN CONDITIONS. DEALERS WILL INSPECT THE WINDSHIELD WIPER MOTOR FOR SIGNS OF CORROSION. IF NO SIGNS OF CORROSION ARE PRESENT, A SNORKEL TUBE WILL BE ADDED TO THE WIPER MOTOR BREATHER PORT TO PREVENT WATER FROM ENTERING THE WIPER MOTOR HOUSING AND FOAM TAPE WILL BE INSTALLED ON THE COWL ABOVE THE WIPER MOTOR TO DIRECT WATER AWAY FROM THE WIPER MOTOR. IF SIGNS OF CORROSION DAMAGE ARE OBSERVED ON THE WIPER MOTOR, THE MOTOR WILL BE REPLACED, AND THE BREATHER TUBE AND FOAM TAPE WILL ALSO BE INSTALLED TO PREVENT WATER INTRUSION ON THE NEW WIPER MOTOR. THE RECALL BEGAN ON APRIL 28, 2008. OWNERS MAY CONTACT ACURA AT 1-800-382-2238. ACURA RECALL NO. Q72.CUSTOMERS MAY ALSO CONTACT THE NATIONAL HIGHWAY TRAFFIC SAFETY ADMINISTRATION'S VEHICLE SAFETY HOTLINE AT 1-888-327-4236 (TTY 1-800-424-9153), OR GO TO HTTP://WWW.SAFERCAR.GOV. DEALERS WILL INSTALL A NEW HEAT RESISTANT POWER STEERING HOSE FREE OF CHARGE. THE RECALL BEGAN ON APRIL 28, 2008. OWNERS MAY CONTACT ACURA AT 800-382-2238. THIS IS AN EXPANSION OF A PREVIOUS RECALL (PLEASE SEE 07V551). ACURA RECALL NO. Q73.CUSTOMERS MAY ALSO CONTACT THE NATIONAL HIGHWAY TRAFFIC SAFETY ADMINISTRATION'S VEHICLE SAFETY HOTLINE AT 1-888-327-4236 (TTY 1-800-424-9153), OR GO TO HTTP://WWW.SAFERCAR.GOV. ON VEHICLES WITH 15,000 MILES OR LESS, THE DEALER WILL UPDATE THE TRANSMISSION WITH A SIMPLE REVISION TO THE OIL COOLER RETURN LINE TO INCREASE LUBRICATION TO THE SECOND GEAR. ON VEHICLES WITH MORE THAN 15,000 MILES, THE DEALER WILL INSPECT THE TRANSMISSION TO IDENTIFY GEARS THAT HAVE ALREADY EXPERIENCED DISCOLORATION DUE TO OVERHEATING. IF DISCOLORATION EXISTS, THE TRANSMISSION WILL BE REPLACED IF DISCOLORATION IS NOT PRESENT, THE DEALER WILL PERFORM THE REVISION TO THE OIL COOLER RETURN LINE. THE RECALL BEGAN ON APRIL 21, 2004, FOR PILOT, ODYSSEY, AND MDX OWNERS. OWNERS OF THE ACCORD VEHICLES WILL START RECEIVING LETTERS ON JUNE 28, 2004, AND ON JUNE 29, 2004, FOR OWNERS OF THE TL AND CL VEHICLES. OWNERS SHOULD CONTACT HONDA AT 1-800-999-1009 OR ACURA AT 1-800-382-2238. HONDA RECALL NOS. P30 (ODYSSEY AND PILOT),P31 (MDX), P38 (ACCORD) AND P39 (ACURA).CUSTOMERS CAN ALSO CONTACT THE NATIONAL HIGHWAY TRAFFIC SAFETY ADMINISTRATION'S AUTO SAFETY HOTLINE AT 1-888-DASH-2-DOT (1-888-327-4236). HIT ME AND RAN AWAY. DRIVING IN NEW YORK WITH FLORIDA PLATES, CANNOT AFFORD NY INSURANCE.